banjira Harmonium Coupler 3.5 Octave 5 Drone Dark + Gig Bag. Dark Finish. 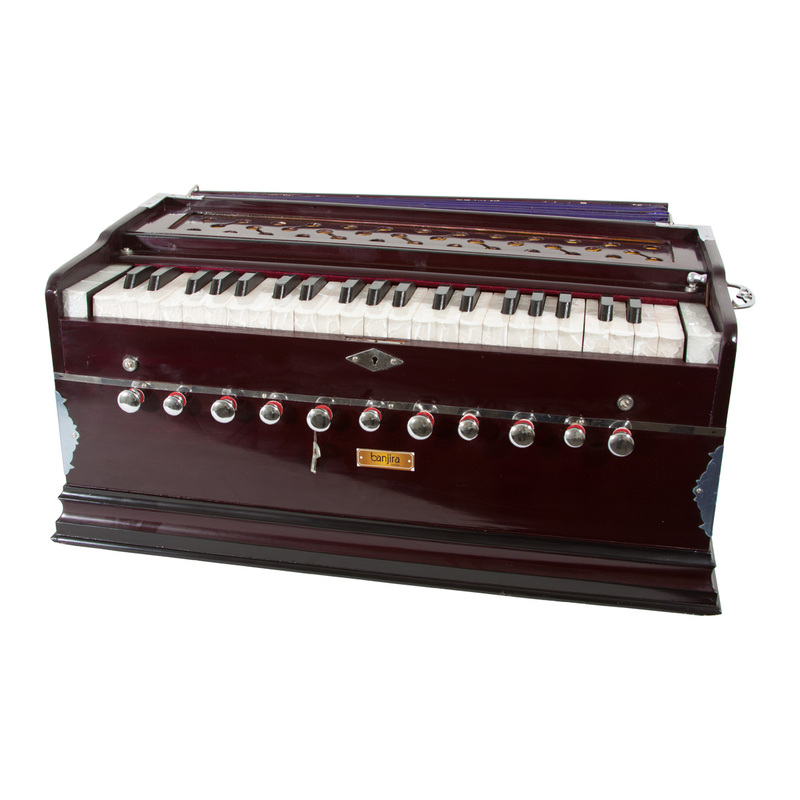 This harmonium features a fixed body with removable keyboard cover. The mechanical coupler allows you to play separate reeds, 3.5 octaves apart, with the stroke of one key. It has 42 keys providing just over 3.5 octaves and the multi-fold bellows can be opened for left or right handed playing. This model is tuned to A=440 Hz (+-3 cents).